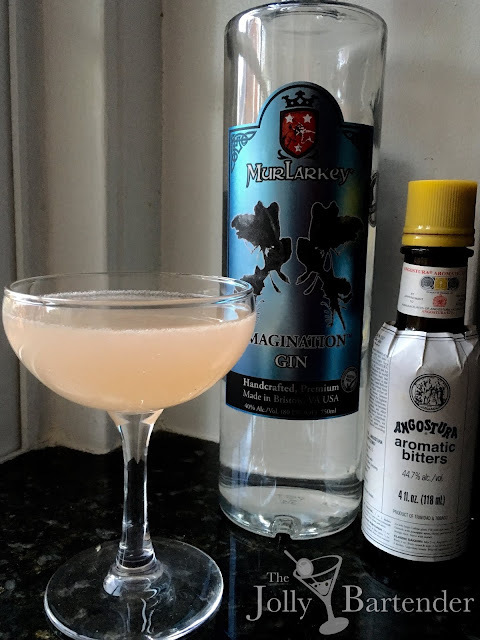 I feel like this drink has the making of a classic and I can see why it was a club favorite back in the heyday of social clubs and cocktails. But this recipe seems unbalanced and a little blown out. If the goal was to make this drink unique among social club cocktails, it succeeds. But as written, the cocktail is too tart and bitter for it to have mass appeal. At issue is its out-sized amount of lemon juice with only a hint of creme de cacao to balance it. It is unfortunate and disappointing when you don't get any richness from what would be a great tropical drink with just a bit more liqueur. The Angostura bitters almost seal the deal by themselves, but using more than a dash--which normally would bring the flavors together--just blows everything out and all you can taste is bitter lemon.